First, some important deadlines in the Arizona legislature: TODAY is the last day for Senate bills to be introduced without special permission. A week from today, February 9, is the last day for House bills to be introduced without special permission. The Lege has an ambitious goal of Friday, February 20, as the last day for House consideration of House bills, and the last day for Senate consideration of Senate bills. This has little meaning in a state legislature which permits “strike everything” amendments at any time in the legislative process. E.J. Montini of The Republic admitted in his column Sunday that even The Republic has been “sugar coating” its news coverage while the Super Bowl was in town so as not to frighten our Super Bowl guests with the crAZy. Good news! The bad news is back … on Monday. That is one helluva an admission to make by the state’s largest news conglomerate, dontcha think? 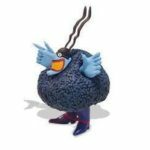 It just screams journalistic integrity – not! Republican legislative leaders insist their troops simply are weary from all those years of fighting culture-war and immigration-law battles. If that is true, the drop-off in the sheer number of bills indicates they must be utterly exhausted: In each of the past two years, lawmakers submitted at least 1,200 bills for consideration. In the first three weeks of this current session they have dropped just 700 bills, and at least a quarter of those are simple technical corrections of existing legislation. Lawmakers talking to our reporters deny the rumor that Gov. Doug Ducey has asked them to not start dropping lightning-rod bills until at least Monday, when most Super Bowl attendees will have departed. The social conservative group behind 2014 legislation that would have allowed people to refuse to serve gays in the name of religion has been meeting with Republican lawmakers to craft its 2015 agenda in the Arizona Legislature. Cathi Herrod of the Center for Arizona Policy attended a meeting of about a dozen lawmakers on the “Arizona Values Action Team” Monday at a state building near the Capitol. An Associated Press reporter was barred from the closed-door lunch-hour gathering, but documents obtained by the AP show Herrod’s group is again pushing religious rights, anti-abortion and school-choice legislation. The meeting and agenda outlined in the documents illustrate the clout and access Herrod has with Arizona lawmakers even after a national uproar among gay-rights supporters over last year’s Senate Bill 1062. As Arizona hosts the Super Bowl this week, lawmakers have mainly avoided introducing any provocative legislation along the lines of what happened last year and in 2010 over the immigration crackdown known as SB1070. 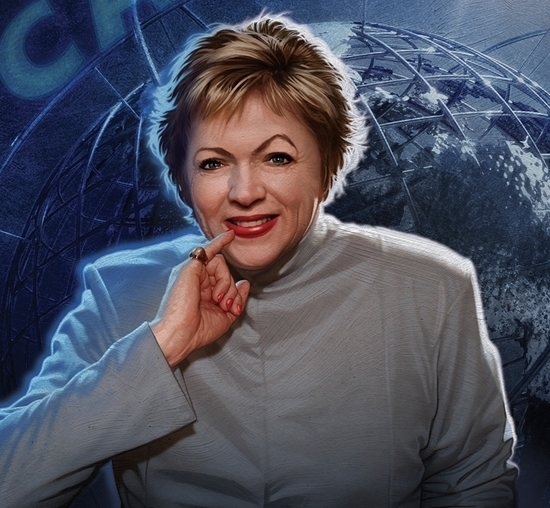 But Herrod has been hard at work crafting legislation designed to advance her group’s conservative agenda. “This is standard fare — it’s not an issue of transparency,” she said, noting that once legislation is introduced it gets public hearings and full debate. Herrod said the group intends to back legislation expanding the state’s school voucher and private school tuition tax credits programs, extending property tax breaks to owners of buildings leased to churches and preventing policies sold on the federal health insurance exchange in Arizona from covering abortion. The church tax break bill has won approval in a House committee, one small voucher expansion was introduced early in the session, and a much-larger proposal on Thursday would allow anyone living on an Indian reservation to get a voucher. That bill could easily be expanded. Two tuition tax-credit bills have been filed, but more could come. Late in the week, the bill targeting abortion was introduced that has Herrod’s backing. The bill not only blocks abortion insurance, it requires clinics to prove their doctors to have admitting privileges at a nearby hospital. Lawmakers who attended the meeting refused to discuss specifics. Sen. Steve Yarbrough, R-Chandler, who sponsored last year’s Senate Bill 1062, heads the Arizona Values group. Yarbrough said the meeting was private, and he won’t be carrying any of the proposed legislation in his new role as Senate majority leader. Another Republican who attended the meeting was similarly circumspect about what legislation might be introduced. It remains to be seen how newly elected Gov. Doug Ducey will respond to any of the bills that pass. [See the CAP event below, Dicey Doug Ducey is the guest of honor of Cathi Herrod, his campaign adviser.] Ducey ran on a pro-business agenda, but Herrod was an early supporter of his campaign. The group is touting Ducey’s planned attendance at the annual “CAP day at the Capitol” event next week. With the Super Bowl in town on Sunday, Democrats suspect that it’s not a coincidence that the most divisive legislation hasn’t emerged, such as another bill along the lines of the vetoed SB1062. Senate minority leader Katie Hobbs, D-Phoenix, said she believes lawmakers want to avoid the negative publicity. And she’s equally concerned that a group like the Center for Arizona Policy can craft legislation behind closed doors and get lawmakers to introduce it just as they have written it. Senate President Andy Biggs said there has been no edict from Ducey to hold bills that might detract from the state’s championship game limelight. “I think that’s too many people sitting around after hours maybe drinking something coming up with a conspiracy,” Biggs said. They have standing meetings set for every other week. 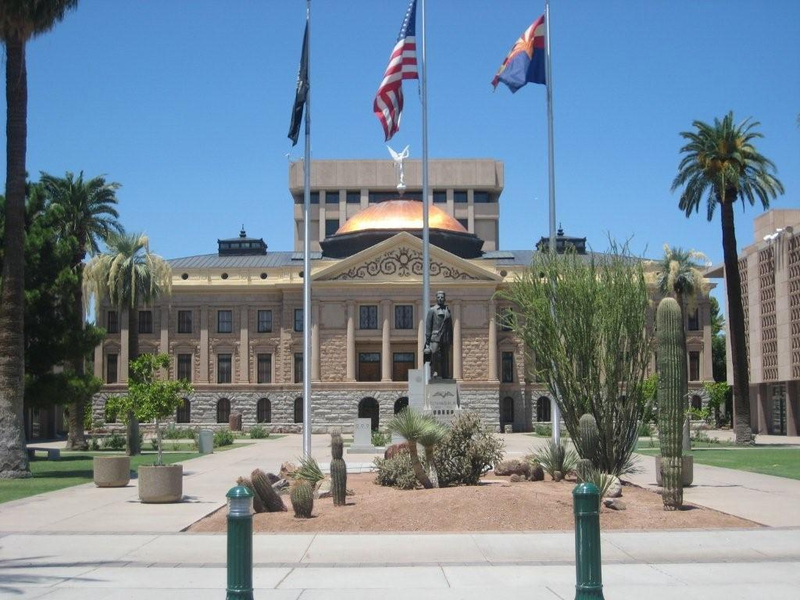 About that CAP Day at the Capitol – Center for Arizona Policy, maybe a counter-demonstration is in order. 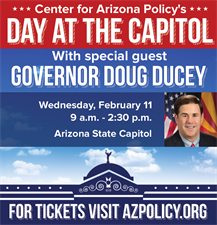 Join Center for Arizona Policy for a day at the Arizona State Capitol with Governor Doug Ducey! Get a special behind-the-scenes look at what happens at the Capitol including a Capitol tour, House and Senate floor sessions, and lunch with legislators. Ram religious fanaticism down the throats of Arizonans. Values Arizona? Freedom? Nonsense. Cathi Herrod, Taliban of Arizona, SHE’s. BAAAAACK! Reproduction police, check. Destruction of public schools, check.